February 13, 2005–Unified Wrestling Force: Warhead defeated Eddie Osbourne…. February 19, 2005–Pro Wrestling Xtreme: Derek Wylde defeated Eddie Osbourne w/Jessy Jones in a #1 Contenders match..
April 16, 2005–Ring Wars: Eddie Osbourne won Battle Royal | Matt Burns defeated Eddie Osbourne..
April 17, 2005–CIWA: Reggie Marley defeated Eddie Osbourne…. May 14, 2005–Pro Wrestling Xtreme: Elian Habanaro beat Eddie Osbourne and Quinson Valentino in a 3-WAY..
May 15, 2005–CIAW: Jake O’Reilly defeated Eddie Osbourne..
June 5, 2005–Pro Wrestling Xtreme: Skillz & Predator defeated Eddie Osbourne & Paul Wright..
June 18, 2005–Unified Wrestling Force: Shawn Brown & Mike Albright defeated Eddie Osbourne & Jeff Black..
June 19, 2005–CIWA: Geza Kalman (former UFC fighter) defeated Eddie Osbourne..
July 22, 2005–Pure Wrestling Association: Crazy Steve defeated Eddie Osbourne..
July 31, 2005–Pure Wrestling Alliance: Eddie Osbourne defeated Jake O’Reilly..
August 7, 2005–PWX: Eddie Osbourne defeated Cody Steele to win the PWX Heavyweight Championship! September ? ?, 2005–PWA: Reggie Marley & Eddie Osbourne defeated The Wildboyz (Andrew Davis & Jeff Black)..
October 2, 2005–PWX: Freak Show defeated Eddie Osbourne to win the PWX Heavyweight Championship..
November 13, 2005–Pro Wrestling Xtreme: Eddie Osbourne & Jayson Chambers defeated Jessy Jones & P.D. Skillz ..
January 1, 2006–Pure Wrestling Association: Eddie Osbourne w/Paul Wright defeated Sean Ball..
January 7, 2006–PWA: Eddie Osbourne w/Paul Wright defeated Derek Wylde w/Jennifer Blake (Blake threw in the towel)..
February 25, 2006–CIWA North: The South Side Stranglers defeated Eddie Osbourne & Dave Titan to retain the Tag Team titles..
March 5, 2006–AWA/CWA MONTREAL: The Southsider Stranglers defeated Eddie Osbourne & Reggie Marley..
March 9 2006–Great Canadian Wrestling: The South Side Stranglers defeated Eddie Osbourne & Reggie Marley..
March 10, 2006–Pure Wrestling Association: Eddie Osbourne (w/Jessy Jones & Reggie Marley) defeated Ruffy Silverstein..
~~~Later that night, Eddie Osbourne was forced into a second match vs. rival Jeff Black of which he lost..
~~~Ruffy Silverstein defeated Eddie Osbourne w/Jessy Jones to retain the GLCW Canadian Championship! March 24, 2006–PWA & GLCW: Eddie Osbourne w/Otto Bahn defeated L’Artise..
March 26, 2006–Pure Wrestling Association: Eddie Osbourne defeated Shawn Spears…..
April 8, 2006–CWA Montreal: Gorgeous Mike beat Reggie Marley and Eddie Osbourne in a 3-WAY..
April 18, 2004–All Star Wrestling: Cody Deaner beat Johnny Devine and Eddie Osbourne and Kris Chambers in a 4-WAY..
June 18, 2006–Pure Wrestling Association (Day): Eddie Osbourne defeated Hayden Averyand Pantalone in a 3-WAY…. June 18, 2006–Pure Wrestling Association (Night): Danyah & Hayden Avery defeated Krystal Banks & Eddie Osbourne..
June 25, 2006–Pure Wrestling Association: Eddie Osbourne defeated Derek Wylde to advance to the Finals later that night..
~~~TJ Harley beat Jessy Jones & Eddie Osbourne & Geza Kalman in a 4-WAY to become the 1st ever Niagara Regional Champion..
July 15, 2006–Pure Wrestling Association: TJ Harley defeated Eddie Osbourne to retain the Niagara Regional title..
July 16, 2006–Canadian Independent Wrestling Association: The Masked Hideous Blob defeated Eddie Osbourne…. July 20, 2006–PWA/GLCW: Steve Corino defeated Eddie Osbourne in the main event…………………. July 22, 2006–Pure Wrestling Association: Original Sinn defeated Eddie Osbourne…. July 23, 2006–Pure Wrestling Association: Hayden Avery defeated Eddie Osbourne…. August 6, 2006–Pure Wrestling Association: Michael Von Payton beat Eddie Osbourne but had his arm “broken” after the match. August 20, 2006–Pure Wrestling Association: Eddie Osbourne w/Krystal Banks defeated Angel de Guerra..
~~~~~~~~~~~~Krystal Banks & Eddie Osbourne defeated Danyah Rayes & Hornet in a Mixed Tag Team match..
August 27, 2006–Pure Wrestling Association: Eddie Osbourne defeated Corey Mason………. September 3, 2006–Pure Wrestling Association: Eddie Osbourne w/Juan Ortiz defeated Scott Chase by Countout..
~~~(Chase failed to appear) -=- Eddie Osbourne defeated Michael Von Payton due to Scott Chase interfering.. MVP defeated Eddie Osbourne & Krystal Banks in a Handicap match..
September 7, 2006–Pure Wrestling Association: Eddie Osbourne interfered in the Steve Corino vs Geza Kalman match..
September 10, 2006–Pure Wrestling Association: Eddie Osbourne defeated Steve Corino to win the Pure Wrestling title..
~~~~~~~~~Michael Von Payton & Steve Corino defeated Eddie Osbourne & Reggie Marley in a tag team main event..
September 14, 2006–Pure Wrestling Association: Eddie Osbourne defeated Hayden Avery to retain the Pure Wrestling title. September 15, 2006–Great Canadian Wrestling: Eddie Osbourne defeated Kris Chambers by tapout…. September 17, 2006–Pure Wrestling Association: Eddie Osbourne defeated Buck 10 to retain the Pure Wrestling title! September 21, 2006–Pure Wrestling Association: Eddie Osbourne defeated Hornet to retain the Pure Wrestling title! October 1, 2006–Pure Wrestling Association: Eddie Osbourne & Reggie Marley defeated Blue Steel..
October 5, 2006–Pure Wrestling Association: Hayden Avery & Sean Ball defeated Eddie Osbourne & Reggie Marley. October 15, 2006–Pure Wrestling Association: Eddie Osbourne vs Michael Von Payton ended in a DRAW..
November 5, 2006–Pure Wrestling Association: Rip Impact defeated Eddie Osbourne…..
November 18, 2006–GCW: Southside Strangler #2 & Gentleman Geoff beat Darth Cutthroatus & Eddie Osbourne..
November 23, 2006–Pure Wrestling Association: Eddie Osbourne vs Michael Elgin ended in a draw..
November 30, 2006–Pure Wrestling Association: Eddie Osbourne won a 6-WAY Jail Break match to retain the Pure title! ~~~Eddie Osbourne beat Michael Von Payton and Ruffy Silverstein and Tom Ryder and Geza Kalman Jr. and Reggie Marley..
January 11, 2007–Pure Wrestling Association: Samoa Joe defeated Eddie Osbourne to win the PWA Heavyweight title. January 21, 2007–High Voltage Wrestling: Eddie Osbourne beat Ty Prattis to become the first HVW Heavyweight champion. January 27, 2007–New Vision Pro Wrestling: Gutter defeated Eddie Osbourne in Welland, ONTARIO. ~~~MAIN EVENT: Ruffy Silverstein defeated Eddie Osbourne and Juan Ortiz in a triple threat match..
February 9, 2007–Pure Wrestling Association: 21st Century Fox & Eddie Osbourne defeated Addy Starr & Rip Impact..
~~~Lak Sadartha/Eddie Osbourne/Paul Wright/Reggie Marley beat Allen Joe/Rusty Steel/Tommy Ryder/Warhed/Reck..
February 22, 2007–Pure Wrestling Association: Ruffy Silverstein & MVP defeated Eddie Osbourne & Reggie Marley..
March 2, 2007–Pure Wrestling Association: Ruffy Silverstein defeated Eddie Osbourne in an “I Quit” match. March 9, 2007–PWA: Eddie Osbourne beat Kris White | Jessy Jones & Paul Wright beat Eddie Osbourne & Pistol Peteby DQ..
~~~Kris White & Zack Atticus & Michael Elgin & Rip Impact defeated Eddie Osbourne & Paul Wright & Addy Starr & Warhed..
March 10, 2007–Pro Wrestling Xtreme: Eddie Osbourne beat Jaime D for the X-Division title and then threw down the belt..
March 16, 2007–Pure Wrestling Association: Eddie Osbourne defeated Rip Impact..
March 18, 2007–High Voltage Wrestling: Rip Impact defeated Eddie Osbourne in Simcoe, Ontario…. 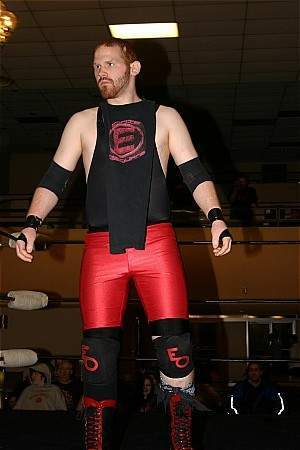 March 25, 2007–New Wave Pro: Eddie Osbourne won the 1st Iron Man Challenge Battle Royal in Hamilton..
March 30, 2007–PWA: Eddie Osbourne was forced to referee all of the matches because he skipped the 3/23 PWA event..
April 6, 2007–Pure Wrestling Association: Eddie Osbourne defeated RJ City…. April 12, 2007–Pure Wrestling Association: Eddie Osbourne defeated Rip Impact..
April 21, 2007–Pure Wrestling Association: Reggie Marley defeated Eddie Osbourne by Count-out..
~~~Eddie Osbourne tried to get out of the match by acting sick, then he jumped Reggie Marley from behind..
~~~The match ended when Reggie Marley cut off Eddie Osbourne’s beard and Osbourne left the ringside area..
April 28, 2007–LLW: Rip Impact & Matt Bison & Devon Parkside defeated Jessy Jones & Eddie Osbourne & Tom Ryder..
May 4, 2007–PWA: Eddie Osbourne (w/Jessy Jones & The Vice Principle) beat Jake O’Reilly w/The Gym Teacher..
May 27, 2007–Pure Wrestling Association: Elian Habanero defeated Eddie Osbourne in Brantford, Ontario..
June 17, 2007–Pure Wrestling Association: Eddie Osbourne & David Wood beat Geza Kalman – Osbourne beat Buck 10..
June 21, 2007–Living Legends Wrestling: Ruffy Silverstein defeated Cody Deaner and Eddie Osbourne in a 3-WAY..
June 29, 2007–New School Wrestling: Eddie Osbourne defeated CJ Otis in the 1st Round of a Strong Style Tournament..
June 30, 2007–New School Wrestling: Andrew Davis defeated Eddie Osbourne and Asylum in a 3-WAY Semi-Final Match..
July 8, 2007–CWR: Eddie Osbourne w/Jessy Jones defeated Matt Burns in Vaughn, Ontario ..
July 8, 2007–CGPW: Shark Boy defeated Eddie Osbourne | Ruffy Silverstein defeated Eddie Osbourne..
~~~~~~Reggie Marley defeated Matt Burns w/Jessy Jones by DQ when Eddie Osbourne & Elian Habanero interfered..
~~~The Masked Hideous Blob w/Dirty D b Eddie Osbourne & Cade Von Dutch in a Drinking Contest by popular vote..
August 4, 2007–Pure Wrestling Association : Easy E & Buck 10 w/Susan defeated Jessy Jones & Eddie Osbourne..
~~~~~~~~~~~~~~~~~~~The match ended when Buck 10 & Susan pinned Jessy Jones & Eddie Osbourne simultaneously..
September 1, 2007–PWA Niagara: Eddie Osbourne defeated Sean Ball by referee stoppage to retain the PWA Niagara Title..
October 6, 2007–The Union of Independent Professional Wrestlers: The Masked Hideous Blob defeated Eddie Osbourne..
October 21, 2007–New School Wrestling: Ethan Page defeated Eddie Osbourne in a No-DQ match in Hamilton, Ontario..
October 27, 2007–LLW The Iron Hour: Eddie Osbourne w/Jessy Jones defeated Samoa Moe in Hamilton, Ontario. ~~~Steve Corino & Reggie Marley defeated Eddie Osbourne & Ricky Reyes (The match ended when Marley pinned Osbourne)..
November 3, 2007–Union of Independent Professional Wrestlers: Steve Corino beat Eddie Osbourne (1st Round)..
November 16, 2007–Pure Wrestling Association: Eddie Osbourne won a 7-WAY to capture the Pure Wrestling title..
~~~Eddie Osbourne beat Reggie Marley & Juan Ortiz & Notorious TID & Rees Rynolds & Lance Malibu & Nick Paradise..
~~ *Elian Habanero beat Sean Ball and Eddie Osbourne in a 3-WAY to win the Internet and Southern Ontario titles..
February 2, 2008–PWA Niagra: Eddie Osbourne defeated Xtremo to retain the PWA Pure Wrestling title..
February 9, 2008–Pure Wrestling Association : “Impact” Eddie Osbourne defeated David Wood Cambridge, Ontario ..
February 22, 2008–Pure Wrestling Association: Eric Everlast & “Impact” Eddie Osbourne w/The Sports Generation defeated The Italianos (Primo Scordino & Tony “Stickball” Carbonie w/Gary Gambino). March 1, 2008–PWA: EZE defeated Pure Wrestling Champion Eddie Osbourne by DQ after Juan Ortiz attacked EZE. March 15, 2008–Pure Wrestling Association: Eddie Osbourne vs. EZE ended in a Double DQ after Juan Ortiz & Buck 10 interfered. March 22, 2008–Pure Wrestling Association: EZE defeated Eddie Osbourne by DQ (before the match EZE picked David Daniel Ducker to be the guest referee in an attempt to win PWA Title). David Daniel Ducker & EZE defeated Eddie Osbourne & Jessy Jones. March 28, 2008–PWA: Elian Habanero defeated Eddie Osbourne in a 2/3 Falls match to win the PWA Heavyweight Title. April 26, 2008–Pure Wrestling Association: Ethan Page vs. Mike Rollins ended in a No Contest after Jessy Jones & Gordon Gustav & Eddie Osbourne & Eric Everlast attacked them both. The Italianos (Primo Scordino & Tony “Stickball” Carbonie w/”The Bodyguard” Gary Gambino) defeated Eric Everlast & Eddie Osbourne w/Gordon Gustav to retain the PWA Tag Team Titles. April 27, 2008–PWA: Buck 10 & Easy E defeated Jessy Jones & Lak Siddartha with special referee Eddie Osbourne. May 9, 2008–Pure Wrestling Association: A mystery masked 7th man defeated Scotty O’Shea and Rip Impact and Easy E and Super Kamikaze and Eddie Osbourne and Reggie Marley in a 6-WAY to win the PWA Internet Title. June 15, 2008–Pure Wrestling Association: Gabe Saint defeated Eddie Osborne. July 18, 2008–Pure Wrestling Association: Super Kamikaze defeated Eddie Osbourne & Rip Impact w/Amy in a 3-WAY. July 19, 2008–Pure Wrestling Association: Eddie Osborne defeated Kris White. August 22, 2008–3KWrestling: Drew Blood & Don E. Allen defeated Eddie Osbourne & Reggie Marley..
August 21, 2010–ACS Wrestling Productions (CARROTFEST 2010): Tommy Dreamer defeated Eddie Osbourne in Bradford, Ontario..